From Canada comes writer/director Adam Garnet Jones’ Fire Song, a powerful tale of life, despair and cultural malaise for members of the near-forgotten Anishnaabe peoples of the northern reaches of Canada’s Ontario Province. Wolfe announced this past week that this award-winning drama will be making its domestic DVD debut on Nov. 8. Filmmaker Adam Garnet Jones has been making short films since he was a young teen, it is a medium — for storytelling — that he has literally grown up with. 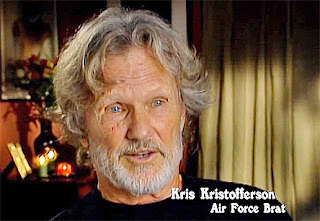 And you get a sense in this, his feature film debut, that he is comfortable with the process; the storytelling process. Competent, would be the best description … and a “feel” for the medium that allows him to overcome some real challenges in bringing Fire Song to the screen. Here, we call them Native Americans, the equivalent term in Canada is “First Nations.” This was Jones’ first challenge as a filmmaker, his cast is comprised of First Nations actors. With that comes the “baggage” of the culture that they have grown up in … not in a pejorative sense, but in the harsh reality of their community, where suicide, alcoholism and teen pregnancy are like a cancer that eats at the soul. 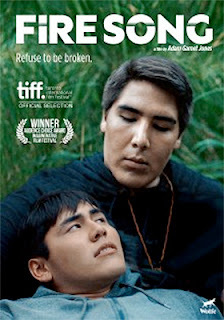 Jones also had to overcome difficult location shooting (and self-funding) and lastly, he has a story to tell about a “Two-Spirit” (read: gay) individual that in lesser hands could have been nothing more than a cliché. We are introduced to Shane (Andrew Martin in his film debut), a teenager who is in deep despair as a result of the recent suicide of his sister. He is on the cusp of his departure for the outside world — to attend college — a place that he longs for; more accepting, but still alien to all he knows. If he has been rocked by his sister’s death, his mother, Jackie (Jennifer Podemski — Empire of Dirt, Moccasin Flats, Fugitive Pieces, etc. ), is inconsolable in her grief. Does he just abandon her during this difficult period? He has also maintained a relationship with Tara (Mary Galloway), perhaps to disguise his true nature from a community with deep prejudices, who has some troubling problems of her own. She is his friend, they have a special bond, but does he just abandon her to a father who is well beyond the bounds of decency? And then there is David (Harley LeGarde), his partner … they have their secret and their plans to get away to Toronto where their secret doesn’t have to be such a secret. It is a complex tapestry of emotions and traditions that Shane must work his way through; a landscape fraught with peril. 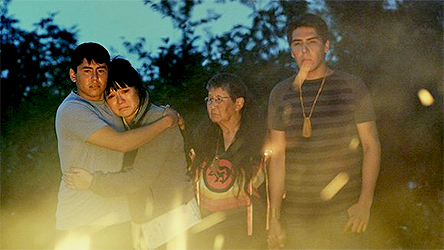 With Fire Song there is both this sense of dread — one suicide can set off a whole wave — and a sense of hope; of a future. 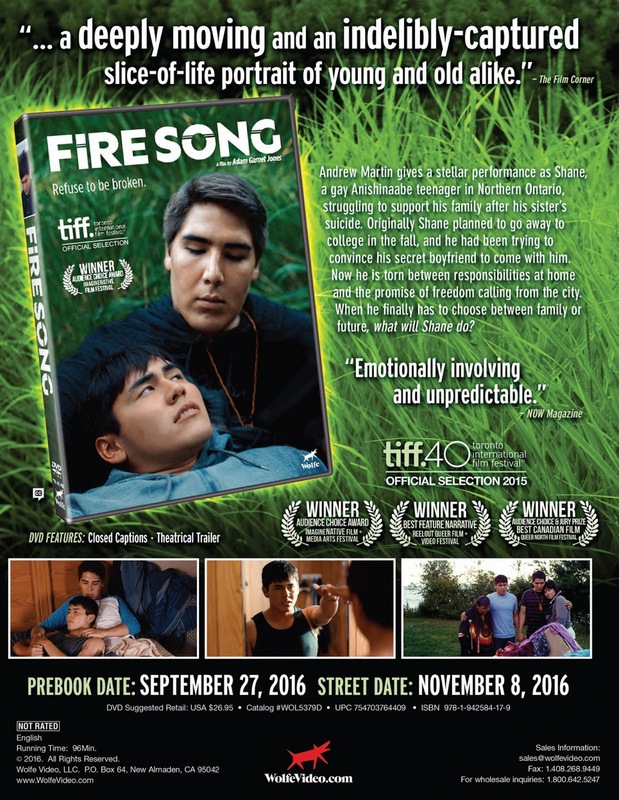 Filmmaker Adam Garnet Jones delivers a strong, emotional film that is well worth ones time to discover … mark Nov. 8 on your home entertainment calendar. How about a story about the real-life adventures of not one, but a whole group of Indiana Jones adventurers? Indiana Jones, we know, is fictional, but documentary filmmaker Brent E. Huffman’s Saving Mes Aynak, the story of Qadir Temori and his band of Afghan archaeologists and their life-and-death adventures in surveying and saving the 3,000-year-old Buddhist site known as Mes Aynak is exactly the stuff that Dr. Jones would be working on. 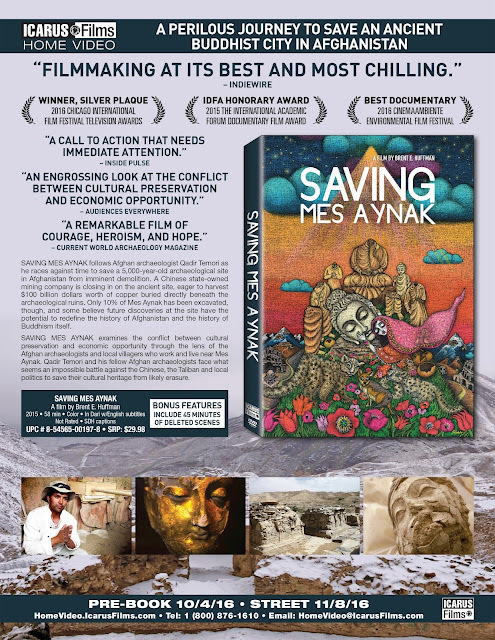 Icarus Films announced this past week that Nov. 8 will mark the DVD debut of Saving Mes Aynak. So why is this such a compelling film? First, Mes Aynak is in Afghanistan and it doesn’t take too much of an imagination to know just how wandering out into the wilderness can be so very dangerous. Especially so when you learn that Mes Aynak is on the ancient travel routes now frequented by the Taliban — a group known for their brutality and destruction of ancient archaeological sites in the region. So just going to this remote place can be a life-threatening experience all onto itself. 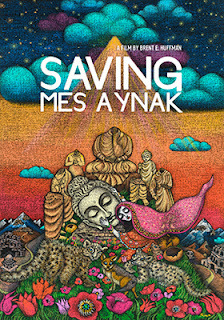 Now add in the fact that Mes Aynak sits on top of a mountain of copper. An even more ancient set of ruins sits below the Buddhist settlement … perhaps dating back an additional 2,000 years — there is evidence that this group mined and smelted copper. Temori and his fellow archaeologists have been working to tease out the secrets of the ancient Buddhist city (and what lies beneath). The copper is estimated to be worth right around $100 billion dollars. In a country dirt poor who could possibly care about some old dusty ruins when there is that much money to be had. 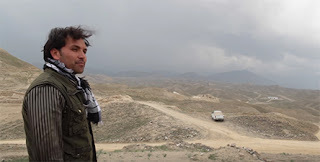 You see the problem … the problem that Qadir Temori and his fellow researchers are faced with — death and greed! Huffman takes us to this amazing place (literally a city in the sky) that is faced with destruction to get at the copper or death and destruction awaits from religious fanatics, who could care less about the history and heritage of Afghan treasure. Bonus features include an additional 45 minutes of footage not used in the final cut. Saving Mes Aynak is presented in Dari with English subtitles. 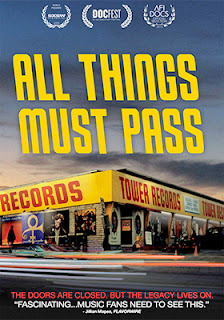 FilmRise, with sales and distribution support provided by MVD Entertainment Group, will be bringing actor-turned-documentary filmmaker Colin Hanks’ All Things Must Pass to the DVD market place on Sept. 13. For lovers of music, the name Tower Records is nothing short of a vinyl nirvana; a paradise of recorded bliss and memories. Colin Hanks, got his big break as Alex in the TV series Roswell, which was airing just about the time that entrepreneur Russ Solomon famed record store chain hit its apex and began the death spiral that led to its 2006 bankruptcy. 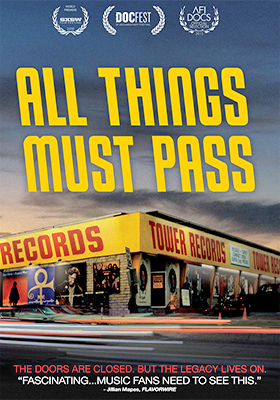 With All Things Must Pass he chronicles the rise and fall of this iconic chain with a mix of celebrity remembrances and former employee stories of Russ Solomon and his unique brand of retailing. 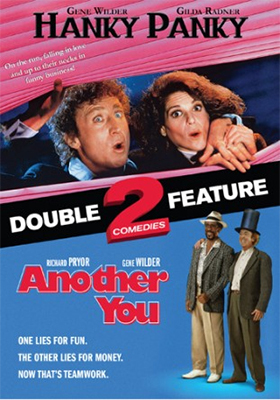 Mill Creek Entertainment will be paying tribute to the late Gene Wilder with a special double feature presentation that is being added to its already busy Oct. 4 DVD and Blu-ray release calendar. 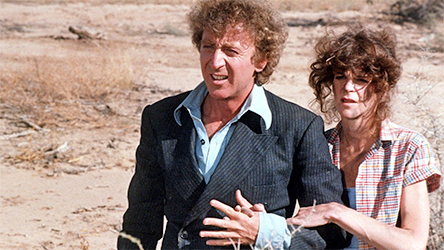 Movies are timeless and in what has proven to be a somewhat poignant moment in time, Gene Wilder is teamed with the love of his life, Gilda Radner in the 1982 comedy directed by Sidney Poitier, Hanky Panky. During the seven years that followed the shooting of the film the two became inseparable … they would team once again for Haunted Honeymoon in 1989, the same year that cancer took her life. If the truth be known, he never fully recovered from her passing. The companion feature to Hanky Panky — in this priced-to-own collectible (just $9.98 before discounts at retail) — teams Gene Wilder with his friend Richard Pryor in the 1991 comedy, Another You. The two would appear together on screen on four separate occasions — Silver Streak (1976), Stir Crazy (1980) and See No Evil, Hear No Evil (1989). Also added to the Oct. 4 release mix is a three-film (also priced at just $9.98) Samuel L. Jackson Triple Feature promotion. Included in the mix are director Bob Rafelson’s 2002 film, No Good Deed (co-starring Milla Jovovich); director Joe Roth’s 2006 detective thriller, Freedomland (with Julianne Moore); and rounding out this trio of Samuel L. Jackson hits is the John Boorman 2004 film adaptation of the Antjie Krog novel, In My Country, which co-stars Juliette Binoche. Paramount Home Media continues to expand its selection of post-Labor Day TV series selections with news this week that both DVD and Blu-ray editions of the high stakes look at the world of finance, corruption, enforcement and the deeply flawed characters that populate this world, Billions: Season One, will be available on Nov. 8. 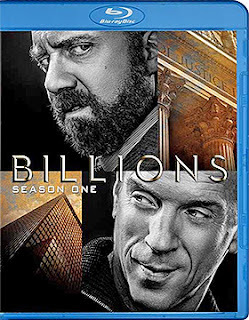 All 12 episodes of the debut season are featured in four-disc sets starring Damian Lewis (Band of Brothers, Homeland) as 9/11 survivor Bobby “Axe” Axelrod, a wheeler/dealer hedge fund operator, who may or may not be an angel (he pays for college tuition for the children of those who died in the Twin Towers on that fateful day) and Paul Giamatti as federal prosecutor Chuck Rhoades, a “complicated” crusader (to say it mildly). Also announced for delivery on DVD this coming Nov. 1 is the next collection of PAW Patrol. 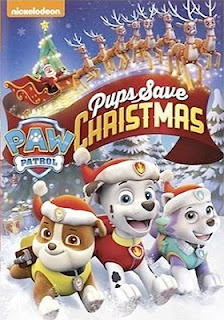 Titled PAW Patrol: Pups Save Christmas, we join Ryder and the pups of the PAW patrol in seven fun-filled adventures, including helping penguins get home, some snowy rescues with Everest and working as a team to help fix Santa’s sleigh and save Christmas! Every “Hollywood” studio executive dreams of a small budget film (low risk) scoring big bucks at the box office. When a major summer film, with a production budget in the stratosphere, is about to open there are a lot of sleepless nights. A mega-bomb can be a career-ender. 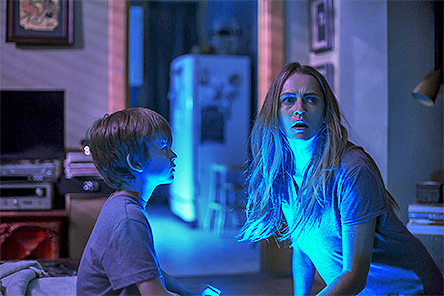 But in the case of director David F. Sandberg’s Lights Out, it was like a much needed vacation from the stress of worrying over big budget, CGI heavy summer “tent pole” film productions — will they bomb? So when this particular theatrical release has a budget — reportedly — under $5 million and proceeds to pull in $65.5 in ticket sales, champagne corks are popping! Lights Out and The Shallows were two of the biggest surprises this summer. You can throw in writer/director Fede Alvarez’s Don’t Breathe as another low-risk/high reward entry. With the exception of some comedies, the bulk of the summer theatrical release slate was full of the expensive and the all-too-familiar, some of which needed foreign intervention just to get near the breakeven points (others, well, not so lucky). 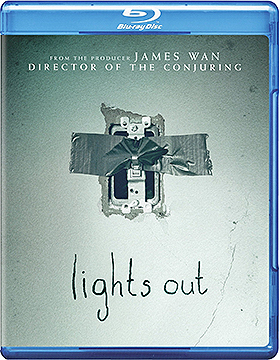 With this said, Warner Bros. Home Entertainment announced this past week that Blu-ray and DVD editions of Lights Out will be available on Oct. 25 (just in time for some Halloween scares) … the ARR comes in at 95 days. David F. Sandberg is what you would call a Hollywood dream … a filmmaker from nowhere who hits it big. He did some animation work, made some short genre films and was just getting by, but then in 2013 his short film titled Lights Out, which was short, even by short film standards (clocking in at just about three minutes), became a viral sensation. So by June of last year he was directing a feature-length version of his film, with “veteran” writer Eric Heisserer (Final Destination 5, The Thing, Hours, etc.) helping him to adapt his short concept film to that of a feature-length chiller. It gets better. His wife, Lotta Losten, was the “star” of the short film and got to reprise her role in the form of the film’s opening hook! She works in a warehouse full of department store mannequins and becomes convinced that one of them is not what “it” appears to be. It has something to do with the lights being on or off … she warns her boss, vacates the premises and we watch this “it” rip him to shreds. From then on Lights Out is a marvelously constructed thrill ride that revolves around the ex-wife and stepdaughter of the poor guy, Paul (played by Billy Burke), who was the victim of the thing that lurks in the dark. Teresa Palmer (The Grudge 2, Parts per Billion, Point Break, etc.) is Rebecca, the stepdaughter, she has a little brother named Martin (Gabriel Bateman — Annabelle) and their mother, Sophie is played by Maria Bello. Throw in Rebecca’s boyfriend, Bret (Alexander DiPersia), and you have all the cast members you need … anyone else is a sure-to-be members of the victim pool! Basically, Lights Out is a really well-done haunted house thriller — swiftly paced at just 81 minutes — with a backstory as to the source of the terror being filled in nicely as we go along (from jolt to jolt). A rumored “sequel” is in the works, which is what every studio loves … a new franchise! Sony Pictures Home Entertainment made it official this past week … director Paul Feig had tweeted out nearly a month ago that the Ghostbusters reboot would be available on Oct. 11. Everything he posted turned out to be pretty much true. 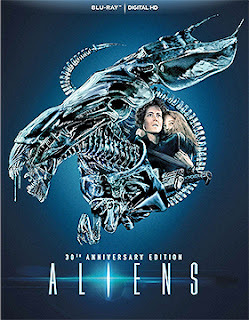 Planned for release are a stand-alone DVD edition, a Blu-ray “extended edition” (also with the PG-13 theatrical cut … the extra running time is roughly 18 minutes) and a 4K Ultra HD/Blu-ray Combo Pack edition, featuring both 3D and 2D viewing options, along with both the theatrical and extended cut (likely including trims to get the film down from being rated R … and perhaps to tighten some sequences). The ARR is a quick-to-market 88 days and ticket sales — despite the naysayers — currently stand at a healthy $125 million. Despite a box office take in excess of $100 million, the reported production budget of over $140 million might dampen any thoughts of a sequel … with international box office receipts and follow-on markets Ghostbusters might be, at best, a break-even proposition for Sony Pictures. 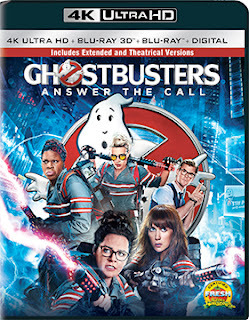 Exclusive to the Blu-ray and 4K Ultra HD SKUs are two gag reels, a quartet of deleted scenes, 60 minutes of additional alternate and extended scenes, two additional featurettes — “Chris Hemsworth is ‘Kevin’” and “The Ghosts of Ghostbusters” — plus a half-dozen alternate takes. With the announcement this past week that the directing team of Mike Thurmeier and Galen T. Chu’s Ice Age: Collision Course will be heading to the home entertainment market place on Oct. 11. 20th Century-Fox Home Entertainment has now assigned release dates to all of its summer theatrical hits (films grossing in excess of $25 million). Mike and Dave Need Wedding Dates streets Sept. 27, followed by X-Men: Apocalypse on Oct. 4, the newly-announced Ice Age: Collision Course on Oct. 11 and Independence Day: Resurgence concludes the release blitz on Oct. 18. It should be noted that all four of these theatrical hits include the new 4K Ultra HD format as one of the consumer purchasing options. 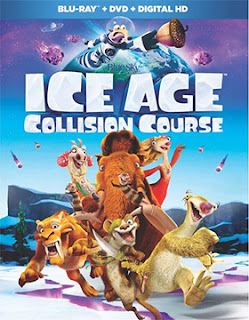 As with the recent Sept. 27 street date for Mike and Dave Need Wedding Dates, Ice Age: Collision Course arrives with a blistering-quick ARR of just 81 days. Domestic ticket sales currently stand at $61.7 million. Planned for release will be a four-SKU configuration — there will be a stand-alone DVD edition, two Blu-ray/DVD Combo Packs (one with a 3D viewing option … a ten dollar premium) and a 4K Ultra HD/Blu-ray Combo Pack. If the studio is to have a new theatrical release for the home entertainment market place during the Thanksgiving/Christmas timeframe it will have to be director Tim Burton’s forthcoming film adaptation of Ransom Riggs’ novel, Miss Peregrine's Home for Peculiar Children. There’s nothing else in the cupboard right now. The film opens on Sept. 30, and with 20th Century-Fox Home Entertainment willing to move films to market in as quick 81 days, it is possible for a Dec. 20 release date for DVD, Blu-ray and 4K Ultra HD editions of the film. That’s just speculation, but it is curious that the studio has held nothing back from the summer for the November/December time period. In other release news this week, Sept. 13 will be the street date for Aliens 30th Anniversary Limited-Edition on Blu-ray — a double-disc collection featuring both the original theatrical cut and the far superior “director’s cut” of the film. 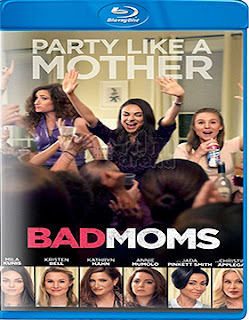 The STX Entertainment film production of the writing and directing team of Jon Lucas and Scott Moore’s hit comedy, Bad Moms, will be making its way to the home entertainment area courtesy of Universal Pictures Home Entertainment on Nov. 1. The ARR comes in at 95 days and summer box office receipts for this all-star ensemble piece were a toasty $95.3 million (with those numbers … sequel anyone?). Bonus features include a gag reel, deleted scenes and video sessions with cast members. 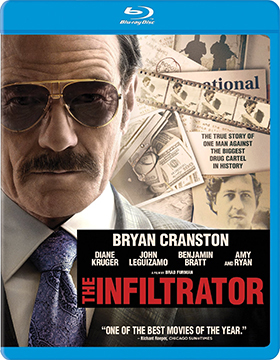 Broad Green Pictures has selected Oct. 11 as the street date for DVD and Blu-ray editions of director Brad Furman’s film adaptation of Robert Mazur’s tell-all book, The Infiltrator. The ARR for this true story about federal agent Robert Mazur (played by Bryan Cranston) — who infiltrated the Bank of Credit and Commerce International and exposed Pablo Escobar’s money laundering scheme — is 88 days. Ticket sales stand at $15.3 million. Anchor Media Group, with sales and distribution expertise provided by MVD Entertainment Group, has targeted Sept. 13 as the DVD debut date for documentary filmmaker Donna Musil’s Brats: Our Journey Home. 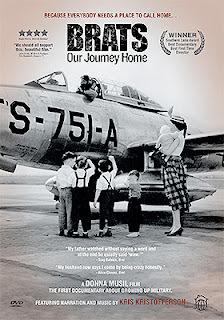 Musil, herself a “military brat,” began a seven year odyssey interviewing over 500 fellow brats — of all ages — as the backbone for her film, which examines the unique culture of children growing up in active military families. These feelings translate into adult lives that often times seem adrift … and this is what her documentary deals with. Once you understand that you’re not alone with these feelings half the battle is won. Fellow “brat” Kris Kristofferson serves as the narrator of this award-winning documentary. 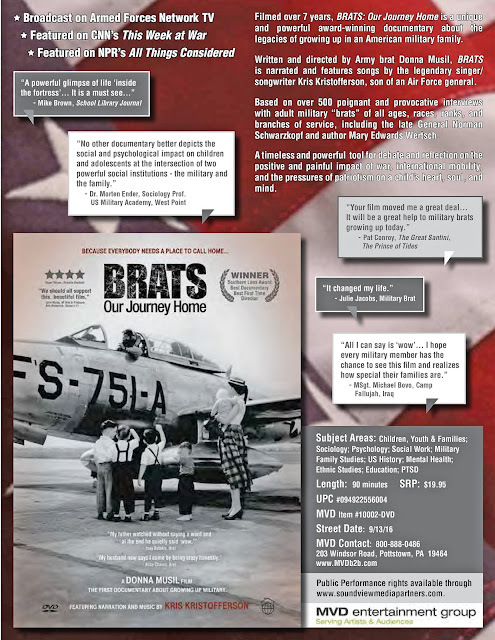 Other notables among those who contributed their insights to Musil’s film include General H. Norman Schwarzkopf, West Point sociologist Dr. Morten Ender and author Mary Edwards Wertsch (her book: “Military Brats: Legacies of Childhood Inside the Fortress”). VCI Entertainment has just released (Aug. 30) the 70th anniversary celebration of the 1946 13-chapter serial, The Mysterious Mr. M on DVD. This thrill-a-minute adventure/mystery was the last serial adventure produced and released by Universal Pictures (they produced 137 serials … dating all the way back to 1914). The serial opened theatrically in August of 1946 and so VCI Entertainment’s timing of the release is spot-on. 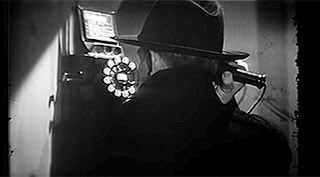 World War II has come to an end, but spies and double-dealers are still ready for action and the United States newest super-submarine is the target of a weasel by the name of Anthony Waldron (played by Edmund MacDonald — Detour, Shoot to Kill, Sherlock Holmes in Washington, etc.). His latest target is Dr. Kittridge (John Hamilton), a submarine whiz, but the drug, “Hypnotrene,” which will make him divulge his inner most secrets, proves to be fatal. Enter federal agent Grant Farrell (Dennis Moore — China Clipper, The Purple Monster Strikes, Fort Defiance, etc. ), who teams with local detective Kirby Walsh (Richard Martin — Bombardier, West of the Pecos, etc.) to solve the case. As the mystery unfolds — from cliffhanger to cliffhanger — we discover that Waldron is not the brains behind the operation, but is taking orders from Mr. M, who communicates his instructions via recordings. With the help of insurance investigator Shirley Clinton (played by Pamela Blake — This Gun for Hire, Mr. & Mrs. Smith, etc. 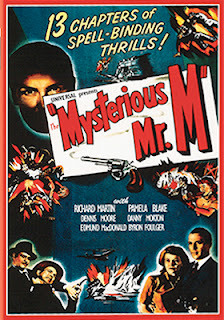 ), Farrell and Walsh try to solve the case, but Mr. M could be anyone, including someone hiding in plain sight!!! Of course you have to wait until the final chapter to find out who the real Mr. M is, but half the fun of this action-packed serial is trying to guess who the villain is!